On 5 November the MoD released the Defence Equipment Plan 2018 – 2028. This annual release updates the estimates and planning assumptions made for the next 10 years of the MoD equipment budget and provides explanations and guidance as to how costs have evolved and how conclusions have been drawn. • The MoD’s funding allocation for the 10 year Equipment Plan in April 2018 has risen from £179.6bn to £186.4bn. 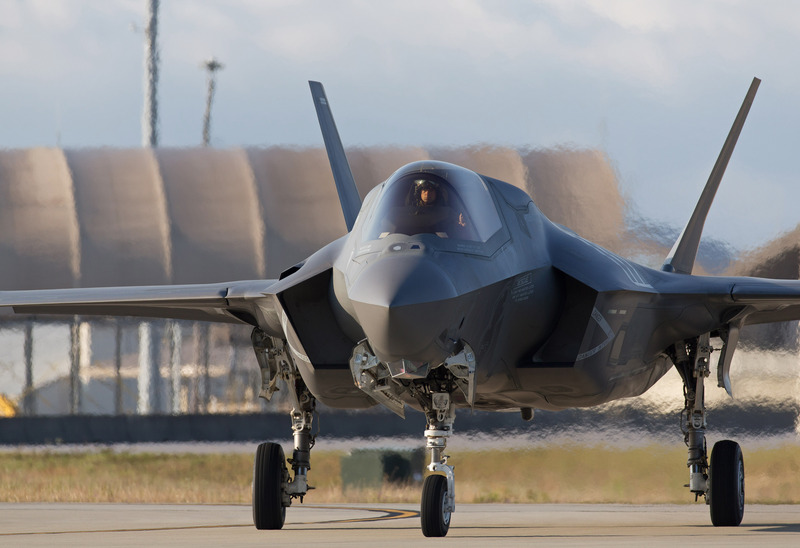 • MoD believes a plausible range of 10-year costs for the Equipment Plan was between £188.9bn and £201.2bn with a central estimate of £193.3bn. • During the past year the aggregate forecast costs for the Lightning, Protector, Astute, and Queen Elizabeth Carriers have all risen, contributing to the higher number. • These cost increases have been partially offset by cost savings on the Poseidon, Apache Capability Sustainment, and Type 26 programmes. • MoD aims to achieve a £13.4bn reduction in cost over the next 10 years from 2018/19 onwards. • Further savings are expected as a result of the DE&S Transformation, as well as better Strategic Supplier Management and a modern logistic support system. • Over the next decade the Army, Royal Navy, and Royal Air Force all plan to spend £1.2bn – £1.8bn more than originally estimated. Joint Forces Command have reduced estimated costs by £1.2bn. • The Government maintains the NATO commitment to spend 2% of GDP on defence, with 20% of that spending on equipment. • MoD reiterated the commitment to supporting industry to increase the exportability of future equipment, including through the Combat Air Strategy and National Shipbuilding Strategy, as well as the Dunne Review conclusions. • Through efficiency programmes and savings made in the Top Level Budget holder activity MoD estimates efficiency delivery over 10 years to be £9.5bn against a target of £13.4bn. • Targets for efficiencies have been pooled into two categories to allow greater flexibility and reduce the risk of double counting. • Pool A consists of Defence Equipment & Support (DE&S) Transformation; this has a target of £3.9bn over 10 years. DE&S forecast delivery of £4.2bn. • Pool B is the Consolidated Efficiency Target; this includes targets from the Spending Review 2015, Single Source Regulations Office (SSRO) savings, and Further Equipment Support Plan savings. Over the 10 years from 2018/19 the total target is £7.3bn, with MoD being confident of delivering £1.9bn. • Over the past three years the forecast cost of the Plan has been reduced by 5-10% thanks to cost control and oversight based on performance. MoD expects this will continue for the next three years of the Plan. • A further £4.3bn has been planned for contingency funding in order to manage financial risks. • MoD plans to complete work on the Defence Operating Model by March 2019. This work includes creating a stronger and more strategic Head Office, as well as releasing a fully updated version of How Defence Works. The NAO suggests that the Modernising Defence Programme (MDP) is the opportunity to take the big decisions that need to be made in order to reduce equipment costs and realise the efficiency savings upon which the MoD seems most reliant. ADS and Industry remain committed to working with the MoD and other parts of Government to increase efficiency and productivity, whilst removing wastage and reducing cost. The Equipment Plan covers some of the most complex construction projects in the world, with a myriad of factors being impressed upon them. It is vital that the MoD continues to engage with industry and consult on best practice to manage these risks.